With a total redesigned PKI 7300 for explosives detection capabilities for combat, physical security and anti-terrorism operations combined with visible, audible and tactile alerting options, the new PKI 7300 is ideally suited to covert operations or screening in high risk or high threat environments. The expanded detection capabilities and reduced size enables the system to be easily integrated into existing security measures. Detection of explosives, explosive objects and revealing of explosion organizers has great significance for prevention of acts of terrorism. It can be done by checking clothes, hands and things of a suspect. If there are any elements of explosives, they would be detected. Usually dogs and large complicated equipment are used for these operations; this circumstance does not allow checking suspect object effectively. Usually it is difficult to use dogs in such operations because their skill is cut down by external factors, especially in urban or industrial areas (smells of paintwork materials, oil products, other animals, noise, etc.). Moreover, even well-trained dog doesn´t understand how carefully it should work with explosive and may provoke an explosion. All explosives detecting operations may be easily realized using portable explosive vapor detector PKI 7300. This extremely sensitive device can operate for a full 4 hours on a single battery and requires no calibration. Starts up quickly and swiftly clears down after an explosives alert to permit rapid throughput. 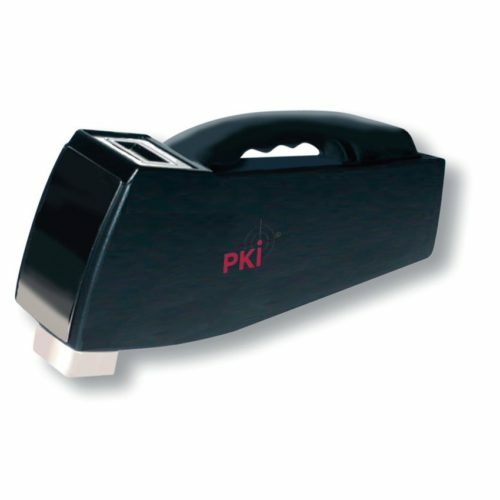 The PKI 7300 does not require periodical adjustment and setup procedures. Detection Technology: No radioactive source or gas supply. Power supply: internal battery: 6V max incl. AC Charger 240 V / 50 Hz. Response time on explosive vapour: not more than 1 sec.